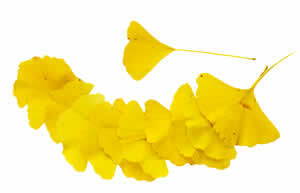 Ginkgo makes a mild, pleasant tasting tea that can help calm the inflammation and congestion of spring allergies. The leaves contain anti-inflammatory chemicals and natural antihistamines and ginkgolides, which inhibit a chemical involved in asthma and allergies. Ginkgo helps to restore better blood flow to the brain, which can help memory, concentration and mental focus, and can be combined with Gotu Kola leaf, ginger, and/or rosemary in tea blends. Circulation also improves the genital blood flow in both men and women, making for higher libido and enhanced enjoyment. Recipe Instructions: Herbal Tea :Use 1 teaspoon of the dried herb to each cup of water. Combines well with Gotu Kola leaf. Sweeten with a dash a stevia, or a bit of honey.